It was one of those days to try something new. 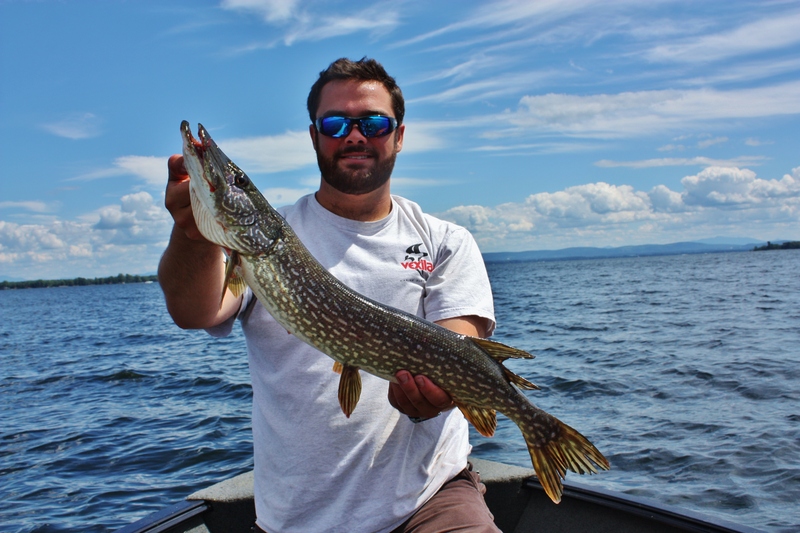 I fished with a buddy from work with intentions of targeting bowfin and pike. We weren’t on the water until about 7:30 but it was going to be a nice day. Temps were in the mid 70’s, no clouds were suppose to be present until later in the day, and a south wind in the single digits. Although the wind forecast was slightly off, it was a great day to be out. As soon as we launched the boat, we got right to catching bait. We picked up several perch and bluegills in a few minutes and motored to the first and only spot that we ended up targeting bowfin in. Watching the fish boil as we crept in because of the shallow water tempted our patients. With our rods already rigged up we started cutting our bait into chunks. Within our first few casts we both hooked up. We were fishing in 3-5′ of water with 3′ of line under our bobbers. It didn’t seem to matter what section of a fish we used. Sometimes they prefer the head while others they want the tail. With the bite that was going on, we were trying to conserve the few baitfish that we had so we cut them into thirds. Fish after fish, we keyed in on a sweet spot. Most casts resulted in a take after only a few seconds. Usually one of the biggest problems with these fish is getting a hook into them because of their bony mouth. Today we planned on testing circle and treble hooks. To start the day, we both fished circle hooks with great success. Later on, my buddy switched over to trebles with equal success. Although we weren’t able to figure out which one worked better, the biggest factor in a hook up seemed to be the sequence of events leading up to striking. Our theory today was that after letting the fish run for a bit if you reeled up your slack and the fish felt you, you missed because it would spit it. If your timing was right and the hook was set with a foot or so of slack, hook ups were far greater. For me, when I felt I was nearing the end of my slack, I would stick my arm way out to try to get the maximum stoke on my set. 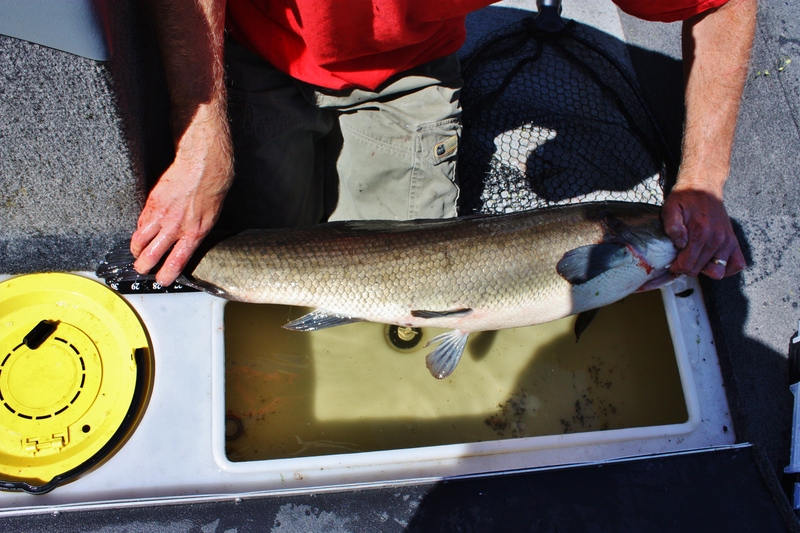 Our hot streak for bowfin ended shortly after noon so we decided to go after pike. 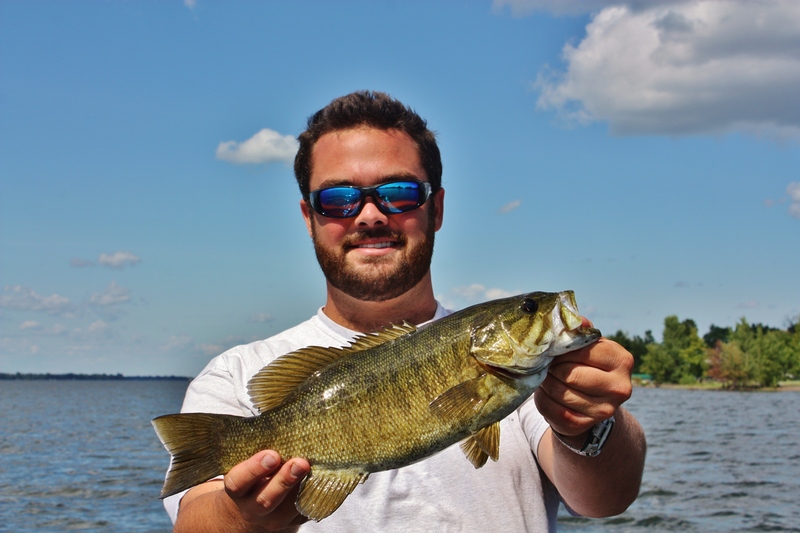 We target the 10-12 foot contour which we figured would be the hot zone and would also allow us to pick up some bass. 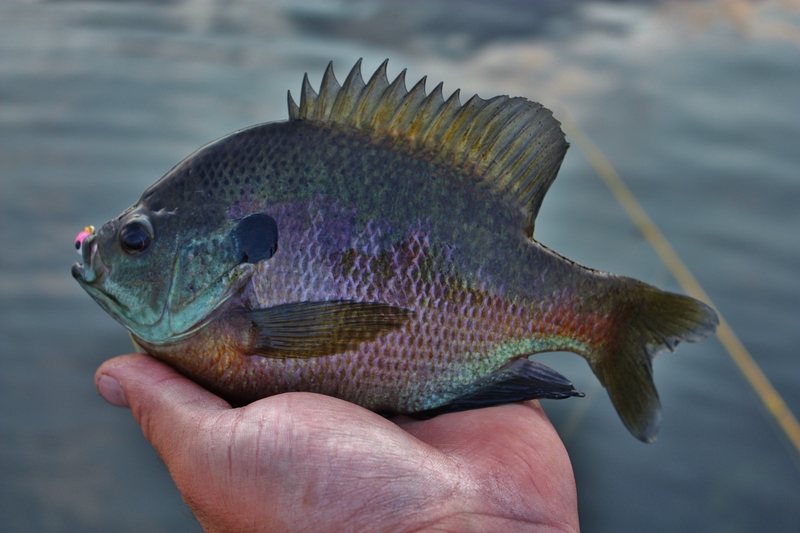 After a few hours of slow fishing, we gave up our quest for toothy fish and focused on panfish around the docks. We fished until just before dark and were content with the quality and quantity of fish that we put in the boat! 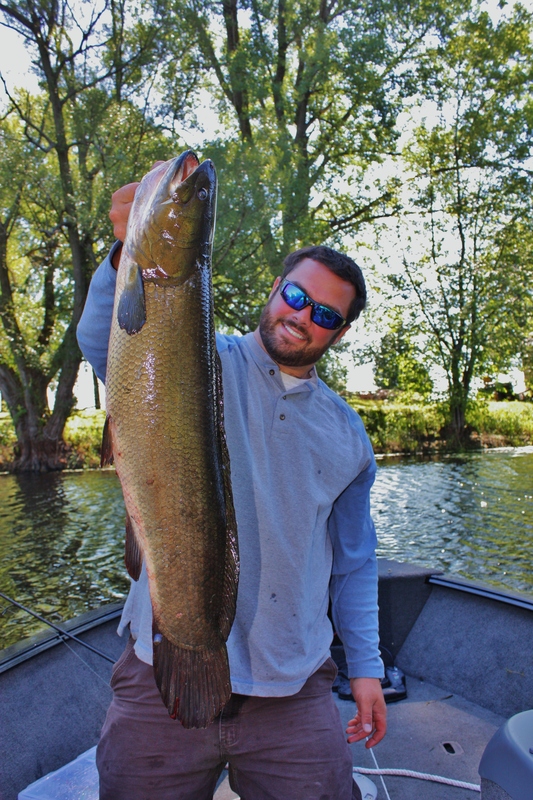 Check out Bowfin Blast On Lake Champlain on our YouTube page for more action! Did that pull you out of the boat? Sheesh! They put up a great fight!